The second season isn't as good as the first one. However, it is still quite enjoyable. The animation quality for some reason has suffered quite a bit but is still acceptable. In terms of character development and sound, the show remains the same or may even have slightly improved. Coming to the story, there has been an introduction of quite a few new characters, each one having a fairly decent character development and background. 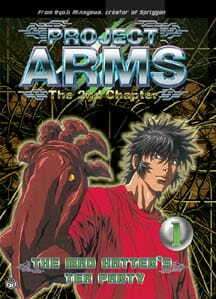 The show has also shown a much more in-depth background of the ARMS answering most of the plot's mysteries. They have finally also shown better interaction and development between the users and their arms, allowing for major power boosts and fights on a much larger scale.